The other day I saw Nia Vardalos on one of those morning shows. She brought much laughter to us in her hit movie My Big Fat Greek Wedding and she’s working on a sequel. I remember interviewing her a couple years back and she’s just as funny in person as you would imagine. She’s like that funny bff that makes your burst out big smiles anytime she’s with you! On the talk show circuit , she been talking about making a 2015 Revolution instead of a resolution. It’s not about fixing something about yourself or doing something differently—a revolution is all about looking forward and thinking positively. It’s about trying something new and stepping outside your comfort zone—getting that thrill and satisfaction of accomplishing something you hadn’t thought possible. And it’s not just about the finish line but also about the journey. I love this! And let’s face it, when we make New Years’ Resolutions, who sticks with them anyway? Only 23% of Canadians have EVER achieved a resolution. 87% agree that most people don’t believe they can achieve their resolution. 21% of males surveyed have no motivation to complete a resolution, while 41% of females surveyed said the same. Even though 62% agree that resolutions are a great way to make changes in their lives, 70% of respondents say that while they are fun to make at a New Year’s party, they don’t actually take them seriously. Kellogg’s Special K is asking people to think about their own #2015Revolution. For me, it would have to be an experience that is a little out of my comfort zone. 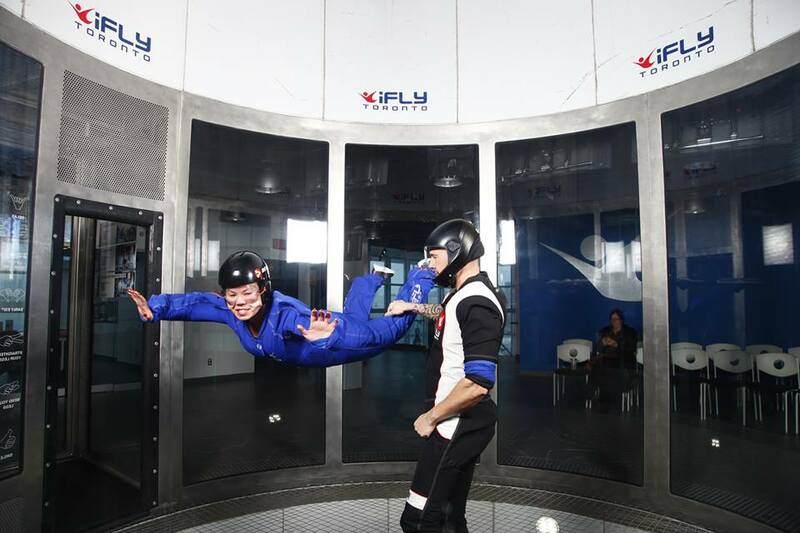 I knew that skydiving was something I wanted to experience… although I’m terrified of heights. I just wanted to know what it’s like to fly. I’m also fortunate to know some pretty uplifting and positive women in this life. 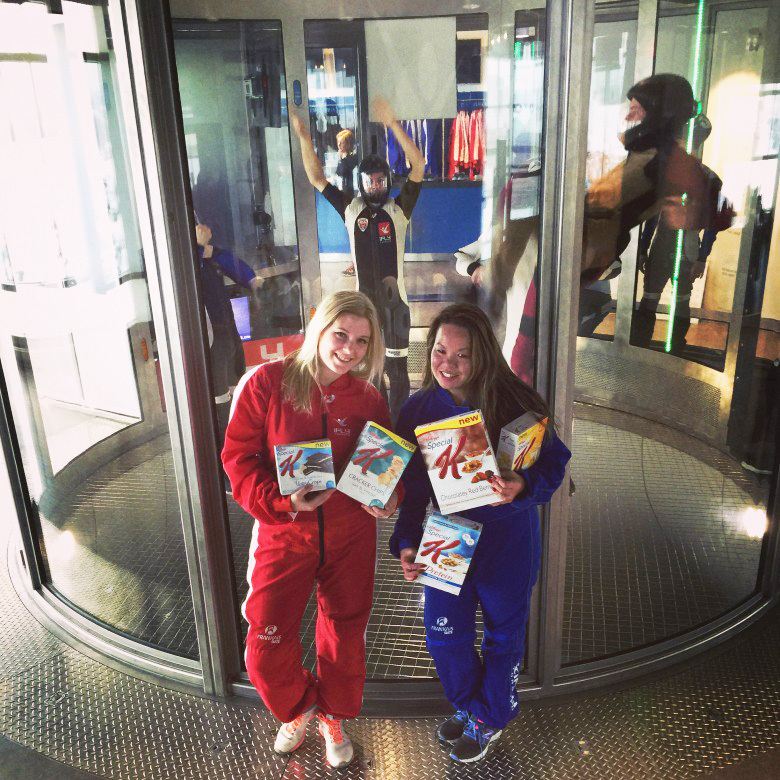 I grabbed them for a girls’ day out and went skydiving… okay, sort of. 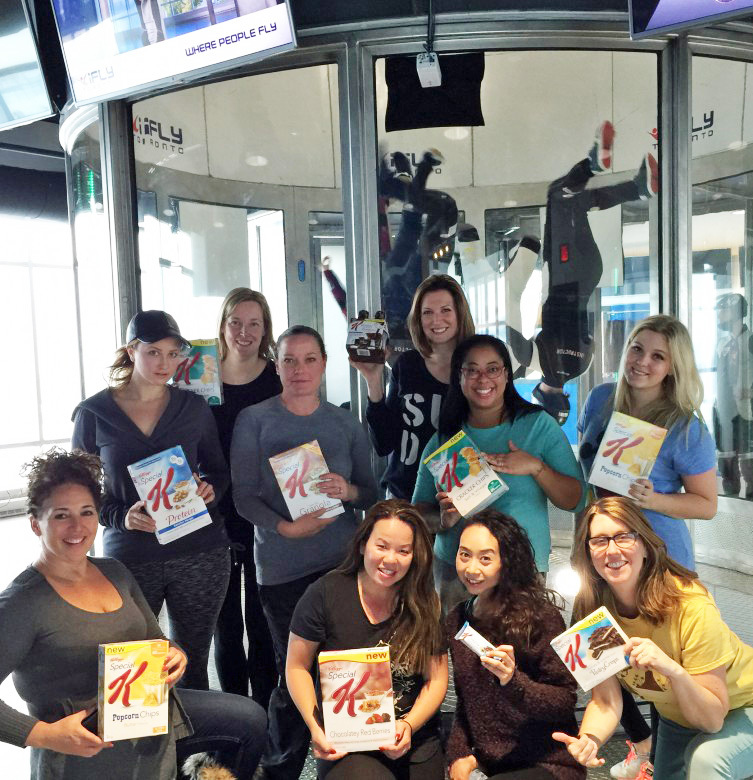 It was indoors at iFly Toronto, but nevertheless it was one of the most amazing experiences shared with some amazing women. And what came out of it besides fits of laughter? A huge sense of accomplishment and empowerment that we all agreed was just what we all needed to move forward into the new year. HEY 2015….WE ARE READY FOR YOU! Now it’s time for YOU get your own revolution started! Special K is encouraging Canadians to approach New Year’s goal-setting more positively by sharing their revolutionary goal with the world on social media using the hashtag #2015Revolution. Between December 5, 2014 and January 30, 30, 2015, whenever a Canadian shares his or her revolutionary goal on Twitter using the #2015Revolution hashtag or on the Kellogg Canada Facebook Page, they will be entered to win one of three $1000 prizes to help them achieve their goal. So, What does it feel like to fly? AHHHH-MAZING! *This post is sponsored by Kellogg’s Special K. Flying experience and the opinions expressed are my own… and of these ladies who I’m honoured to call friends. I had an amazing time Sonya – thank you so much for the invite again!